I want to show you a simple system I use that helps me stay extremely productive. I call it the Iceberg Method. Like an iceberg, where the real size is hidden beneath the water, this system will make people say: “Wow! That’s insane!” and they’ll attribute super-productivity powers to you. In actuality, you just consistently used this system beneath the surface. Accept the accolades and turn them into free drinks. That’s what I do. You read all this stuff every day. How do you apply what you’ve learned? And how can you use the Iceberg Method to already be 30% of the way done…before you even start the project? Hint: It’s not just about being “more productive” than the next guy. When you think about it, this is exactly what Pinterest, Delicious, and Evernote are for. Leave a comment below — do you use any of these tools? What else do you use to sort through all the material you read every day? I use Evernote primarily to store all articles and research material. But I think it’s important to have a single place where you stash away all your information. It’s so tempting to use all those apps, but being consistent with your habit/system/method is more important than having the sexiest app. I think the tips offered in the video are helpful, but I was looking for something more along the lines of how do you take all the guidance from Ramit, Tim, et al and distill that down to something that you can keep top of mind, all day, to know you are doing the right things. Maybe there isn’t anything like this, it may just take a really conscious effort to focus on the teachings. I use a spreadsheet on google drive. That way I can open it wherever I want and whenever I want. I initially tried dropbox but sometimes I download the spreadsheet and upload it back and it became a version control nightmare. So there is a spreadsheet I have on my google drive that has different sheets from notes from the books I read. There is another spreadsheet that I have on my google drive that have different ideas for all business ideas I have categorized according to the type of products for eg, a one tab says online, another says organic etc. These are great tips – thanks! I also use the Instapaper app a lot. It has a “Read Later” button that you can click on to instantly store articles you want to save. I do that as wel ont the email thingl! But I think what is important is to be able to leave things for later! sometimes we want to feel as if we have accomplished something so that pulls as toward activity instead of focusing on what we really want to do. I use evernote to capture ideas that came to my mind and review them once a week and then place them or used them as I need them. Also, it is useful to have categories in your life such as work, health, relationship, contribution, finance, etc so that anything you do fit in those categorys and you don’t feel overwhelme by all the things you need to do. Finally, I think it is important to realize that there isn’t anything we “have” to do, but there are only things you “want” to do, once you remember that the presurre and stress goes away! I love the Iceberg Method. I have hundreds of Evernote notes (broken into subject Notebooks) and a few thousand Delicious bookmarks – these are both products I learned about via Ramit. This came in incredibly handy this fall. I coach a college soccer team and we were having some tactical issues after our first few games. I found a soccer strategy article on Delicious that I had bookmarked over a year prior and ended up implementing it to the letter and it really helped stabilize things for the team. Sunil, I really like the system you created! Great tips Ramit! I like the one about organizing the emails you get from interesting people to meet up with them later. I use Evernote and it’s been great for me. It’s important to set aside info for the future especially if you are working on multiple projects. You do need to periodically review what you’ve saved to see if it’s still relevant, otherwise you’ll get buried under that iceberg. Awesome answer, Ramit. Simple, easy to implement, and straight to the point. I especially love the idea of reviewing past notes. I tend to do it unintentionally but each time I do, it helps me a lot. Gonna put that into my calendar right now. I totally agree that the easiest way to remember something you learnt is to apply it. But if it is not applicable at that time, a really useful way to remember these ideas and concepts is to rephrase them in your own words. I do the same with podcasts that really resonate with me. I write while I listen. Re-listen and write some more. More often than not, this leads to a blog post, or a series of posts. When it comes to books, I’m old school. I have a rack of manilla folders, each containing hand-written notes on books I love. (My idea files for future blog posts AND business ideas). When bookmarking/saving information, I would add that it also helps to keep it simple with the labeling so you don’t spend too much time searching through labels to find the actual information (and usually internal search is good enough). Like your system for keeping track of people to meet in different cities too! I use diigo, for low access memory (very important the tags to recall the info later on, is going to be like your personal stack overflow), and the bookmark manager on Chrome to generate a folder structure to rapid access to the links that I use more often. I create the folders by themes or concepts to avoid think to much where I should drop a link, the other part is review the links often, and prune the links that are not useful or move it to diigo. Finally, if a folder is growing too much and find out what you need is getting difficult, it is time to clean up again, think about subcategories and so on. But be careful with nested levels, I constrain myself to two or three levels, otherwise spent too much time navigating the folders. Technology = Your External Memory? Awesome! Thank you for the amazing insight – there are now tags in my email based on my major travel/business spots. Evernote is my go-to tool for remembering anything. Links to articles, kids clothing sizes, business contacts, business ideas. It’s all there. I love how I can tag it with any kind of association tag word. Plus, creating shared folders allows me to put stuff there (like kids clothing sizes) that my wife can access as well. This has come in so handy when I find unique gifts for people. I just drop it in Evernote and when the occasion arises, I pull it up. No need to remember. I am starting to expand my usage of Evernote and what I store there. The more I put there, the more I find I reference it. I am only concerned about security. I haven’t heard of a data breach yet, but it’s only a matter of time. Sensitive info is still stored under encrypted tools. I’m a really visual learner, so while things tend to be forgotten and hard for me to find later on in more traditional bookmarks, I’ve found that Pinterest works really well for me. I have secret boards for notes just for myself, but tons of public boards too. I also use the Gmail tags – I have tons of auto-filters set up to tag different emails. All of my tags are color coded, so it makes it easy for me to visually scan my inbox or search old emails and find what I’m looking for. This seems to be a basic version of GTD (getting things done) by David Allen. Well worth reading if you liked this video. Make sure you apply it though. 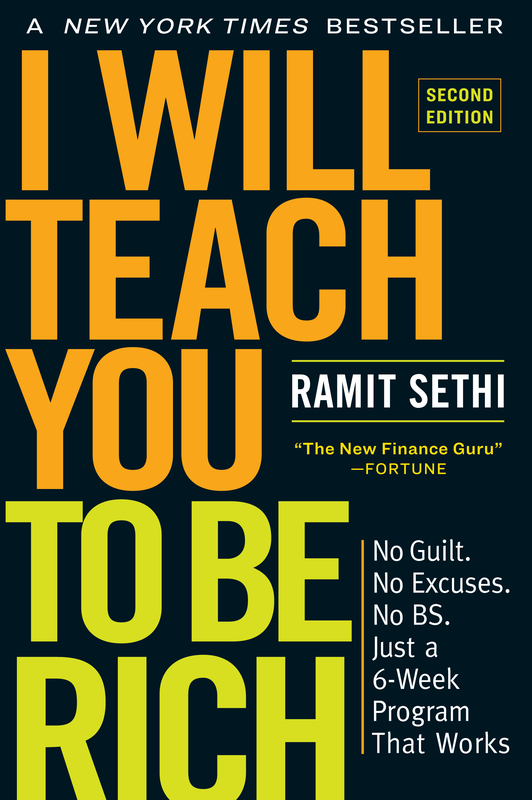 Ramit did you ever read and apply GTD methodology? I have a mindmap of ideas I get from books that would make good “tiny habits” (Google “BJ Fogg”) for things I may want to convert into daily, automatic actions (rather than having to “remember” that tip from a book I read). Then I choose 3 a week. For example, this week I’m practicing “cleaning up” my work after finishing, which entails writing a list of tasks that need to be done the next time I sit down to work, closing all open programs, etc. Great input, easily digestible. Your approach takes GTD and makes it more user friendly. Thanks for the valuable insight. Use the voice recorder on your phone and dictate a note (thread) of any passages or details, as you go, for later review. Also snap pics of pages (figures, tables) if you need the visual. It’s fast and reinforces. Easy to go back and edit. I rarely feel the need to reread the original text. One read, done. Save note by title, subject, author, etc. Thanks Ramit and all contributors for the ideas ! ” active procrastination” ) using currently available gadgets and technology. Refer to Stephen Covey ( 7 Habits of highly effective people ) – he gives a matrix for things that are Urgent and Important . The basic process is simple : Read , Review , Retrieve , React . Adopt what you need and discard the rest . I have summarised the ideas and will forward this later to share with all. Great points; Google Docs is a useful tool as well. I use google docs, but I also LOVE using 3 ring binders! The physical is so inviting, the electronic gets cluttered so quickly rather than fulfilling the promise of the computer age = simplification and target-only info. I edit down to the most salient info on screen, print, punch and place in a one topic binder. I can take my binder of “stuff,’ sit down and pore over it, sort, scribble notes, harvest and actually produce something substantial from the collection of material. Asana: Website/app to organize projects. Here I have both big and small tasks sorted by project, and I can share projects and assign tasks to other users. Task can include sub-tasks, files, urls etc som I use Asana as my overview organizer. Do it tomorrow: An app for Google Chrome that I use for short term tasks. Every morning i write down the most important tasks that I need to get done that day. If this fail the task will automatically be transfered to the next day, but you can only work with today and tomorrow, long term put-off is not possible. Evernote is my external brain. Notes from conferences, ideas, shopping lists, travel plans… everything gets a note. I am not too good at tagging my notes, but I love the map function where you can check where a note was written. The seach form is also very useful. For things and ideas that I stumble upon on the web i use Pinterest. I have boards for marketing ideas, web design, childrens birthday parties, cooking, photography and many other things. I also have a few secret boards for my business, where I save ideas for things we might do in the future, but that I don’t want others to know about. I use a combination of Evernote and Pinterest. There is so much to learn in Evernote to make it work best for you that I think once I study a little more on how to make it more effective for me, I will rely on it more and more. I like this idea. I do that currently using my Pinterest account. I pin items or something I thought resourceful and can go back it to for reference. But now I will have to expand that theory more. Like the traveling and people I would like to meet. Awesome system. Thanks for the tips! I’m an avid user of Pocket and Evernote. I use Pocket as I’m going around on the web. When I see a blog post or article that I think will be interesting I send it to Pocket. Then, whenever I have some downtime, I go through Pocket and read the articles I save. Those that I find VERY useful I archive in Pocket and send them over to Evernote. So, in sense I have two places where I store information, but Evernote is the main repository and the most accessible. I also make use of tagging in Gmail. If you haven’t done it yet, start doing it today. Start tagging your email! It will become very handy. But, your advice on going back and reviewing your notes every 4-6 weeks and applying it to your work is terrific! Thanks for the advice. I’ll set the reminder in my calendar right now. Sorry… Completely other topic but when will you run the subject of “http://www.iwillteachyoutoberich.com/blog/new-live-webcast-how-to-land-your-dream-job/” again? A review process is really helpful! Ramit can probably get away with reviewing things in 4-6 weeks, but I find that my brain needs weekly, monthly, and yearly review cycles so I can remember what the notes mean. =) Here’s a visual description of my review process. Basically, I save lots of notes to Evernote, Flickr, and my blog, I tag them to make them easier to find, and then I create indices and mindmaps so that I can get an overview of my notes. Hope that helps! These walkers provide prompts to aid in training a person to walk. Even skimping on our own desires and saving so that you can obtain what’s necessary for them doesn’t usually do just fine. face of the girl sitting in the row in front. What’s up, just wanted tto mention, I liked thios article. stayed continuous at around 82 %. give a quick shout out and tell you I truly enjoy reading youur blog posts. Can you suiggest any other blogs/websites/forums that deal with the same subjects? Baseding on the Best SEO Advertising and marketing Method for 2015″ guide from Internet Chief Executive Officer, you ought to make your clients loyal, go mobile, optimize your internet site for neighborhood online search engine as well as apply Google-proof web link earning. long-term consequences. “We focused on a [game world] map of 400 square miles’we wanted to have one of the largest maps we’ve ever done to really increase the verticality,” Lesterlin said.